Anti Aging!!! It is a magical word between us... because nobody wanted getting old (soon). We all tend to take care of our skin more and more as we reach 25 , yes our skin starts to mature when we cross 25 and it shows obvious on our skin at 30 (of course some of the exceptional are there). When we start to see freckles, wrinkles, stubborn acne marks, loosen skin, dark patches etc we all will get shocked silently. In ancient days people treated their skin by home remedies to keep the collagen of the skin on point, but now obviously we don't have time to maintain our skin and we use to look for an easiest option to rectify anything. 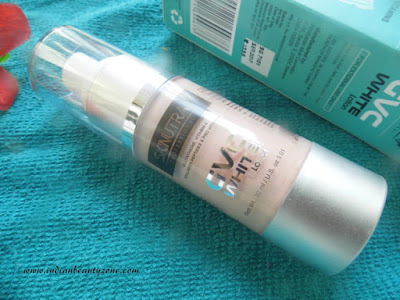 Here we are going to see about such an Anti aging cream called SKINUTRA GVC White Lotion which promises as wrinkle optimizer and skin lightening. 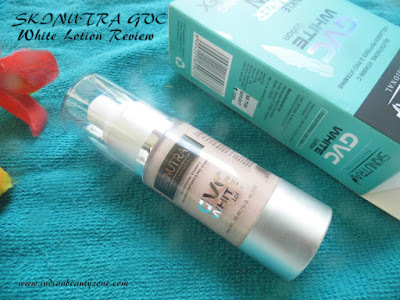 SKINUTRA GVC White Lotion combining Glutathione, Vitamin C, Collagen Peptides and provitamins that whitens intensively. Glutathione and Vitamin C are anti oxidants which prevent skin damage due to environmental stress. Glutathione stimulates collagen and reduces fine lines and wrinkles. Brightens and smoothes skin for a more radiant and youthful skin. Glutathione blocks thyrosine enzyme that melanin production gets reduced. 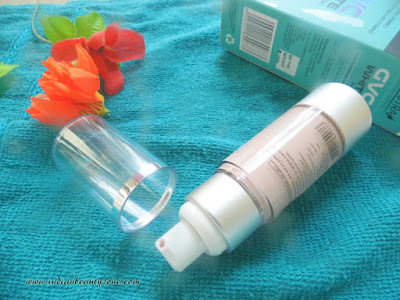 Skin looks fairer and reduces hyper pigmentation, blemishes and acne spots. Thus skin looks firmness and elasticity of the skin, promotes soft and supple skin. 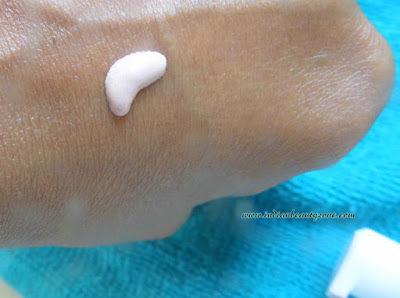 The Colour of this cream is looks like an CC cream actually and it is semi solid cream not runny liquid one and easy to handle with their provided pump dispenser with a closing transparent top. The smell, please don't expect a pleasant smell here... because it has some medicine smell and I accepts that this cream is meant for skin treatment, so it happens. The cream's texture is light weight and absorbed into the skin in a fraction of seconds, that is a boon for oily skin person like me. So there is no sticky feel which I experienced before with other anti aging creams. It makes the skin feel fresh and tight and at the same time it hydrates the skin well. 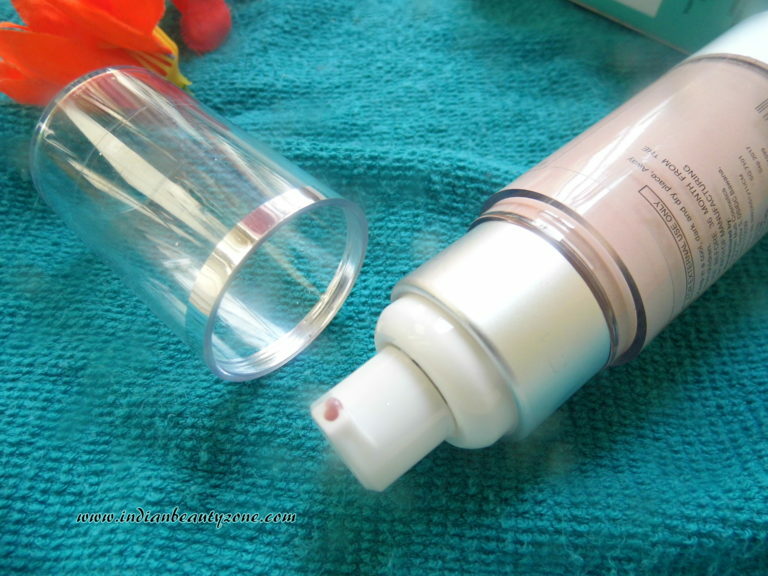 Actually I am a Collagen and Vitamin C lover, so I was excited to try this cream. By regular use this cream made my skin tone even and my acne scars started reducing. I don't have any major fine lines so I can't comment on how it works on wrinkle and fine lines, but I hope it will surely helps. My skin tone improved a lot and my tan reduced a lot and I can see a bright skin now a days. The cream is not oily and it looks fresh and an excellent makeup base for me. A little amount of cream is enough to use. This bottle comes for long time. I am using it as my day cream with my sun screen. At night also I am using it with a moisturizer. This cream goes well with any other cream. I am happy with this cream. It is travel and user friendly. It is a light weight cream. No sticky feel after applying. We can use it at day and night both time. We can use it with any other regular cream. Reduces Tan and pigments by regular use. Controls pimples to some extent. Act as a good makeup base.